If only all movies could begin like “Life Itself.” A single camera shot but one that is narrated by Samuel L. Jackson in all his glory! You can’t help but laugh during the first five minutes of this film. Which is a good thing, because you’re probably going to be crying for the other113 minutes! We meet Will (Isaac) and Abby (Wilde) in the middle of what seems to be an incredible relationship. Living happily together with their dog (a dog with the greatest name ever used in film), it seems like their life together will be perfect for all time. That is until fate steps in. 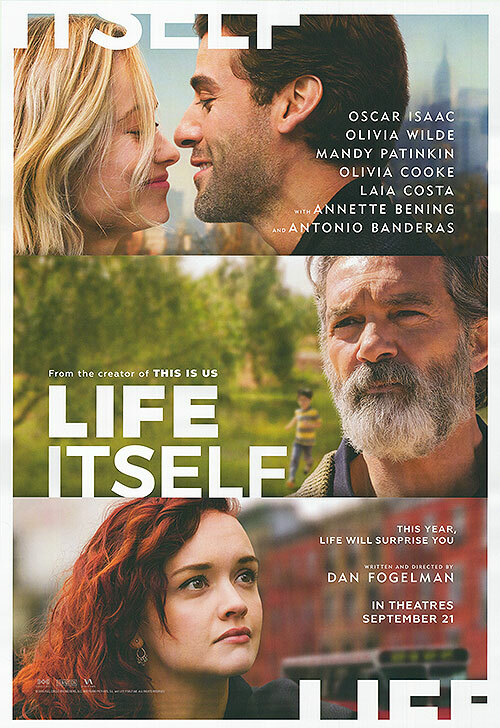 A well written but slowly paced film, the “Life Itself” poster tells us the movie is written and directed by the man who created the popular television show “This is Us.” I haven’t watched it but my wife does religiously and, judging from the amount of Kleenex she goes through each week, I assume it’s a weep-fest. This movie certainly is. The film jumps around in time, showing the audience how Will and Abby met, their life together and their all too soon separation. In between the vignettes you get to spend time with Will’s parents, played by Jean Smart and Mandy Patinkin. It is their relationship with their granddaughter that makes up the second act of the film. Act three is the longest – and the most drawn out. It deals with characters who are peripheral to other two stories, though we are not at first sure how. It takes place in Spain, where a wealthy land owner (Banderas) falls in love with the wife of one of his workers. The various extended scenes not only begin to drag, they are delivered in Spanish, which means it’s going to be a long night reading subtitles! LIFE OF AGONY emerged from the New York music scene in the early ’90s with one of the most distinctive sounds in its genre. Best known for its 1993 metal/crossover debut River Runs Red, the band instantly built a cult following. For over two decades, the group toured relentlessly all over the world, sharing stages with the biggest names in rock, including Metallica, Black Sabbath, Ozzy Osbourne, Foo Fighters, and The Red Hot Chili Peppers. After the much-praised Ugly (1995), LIFE OF AGONY opted for a highly energetic alternative rock approach on Soul Searching Sun (1997) and Broken Valley (2005) – the latter produced by Greg Fidelman (Slipknot, Metallica). Last year, the group released their 5th studio album A Place Where There’s No More Pain (2017) to critical acclaim, debuting at #24 on Billboard’s Hard Rock Album Chart. 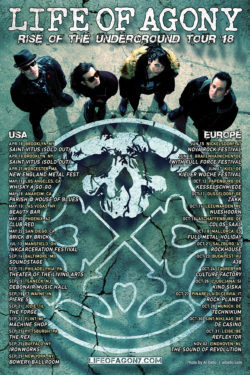 LIFE OF AGONY has sold over one million albums to date. From the moment I saw the first teaser for “The Secret Life of Pets“, I knew that Illumination Entertainment had another hit on there hands. The characters are amazing and the film is filled with laughs from beginning to end. It has jokes for kids and parents as well. In fact, my family (no lie) quote this film AT LEAST once a day since the first time that we have seen it. It packs a really solid voice cast including Louis C.K., Eric Stonestreet, Kevin Hart and many others. I hope that they have some sort of plans to follow up with this series because they really have a winner here! Can’t wait to see what Illumination, home of the Minions, does next! Official Premise: Comedy superstars Louis C.K., Eric Stonestreet, and Kevin Hart make their animated feature-film debut that finally answers the question: what do your pets do when you’re not home? When their owners leave for the day, pets from the building gossip with their friends, satisfy their sweet tooths, and throw outrageous parties. But when a pampered terrier (C.K.) and his unruly new “roommate” from the pound (Stonestreet) get lost in the urban jungle of New York City, they must put aside their differences to survive the epic journey back home. Universal released this film in in various formats i.e. Blu-ray, Blu-ray 3D and 4K Ultra HD. The animation and colors are so vivid and vibrant and this film looks extraordinary with it’s 4K transfer. I was blown away with this presentation. The 3D presentation on this film was also top notch. As we are whizzing through the streets of New York as well as close up encounters with fellow characters like Viper, the effects are spot on! If you can watch this film in either of those formats, I highly recommend it for sure! The audio tracks also are epic with a revolutionary Dolby Atmos track as well as wall shaking Dolby TrueHD 7.1. Universal delivered for sure with A/V presentation here for sure! The special features are all short and sweet and worth checking out if you enjoyed this flick. Kids can enjoy as well. There are three mini-movies included. One we saw before the film in theaters “Minion Mowers”, which is hysterical. There are also two new ones set within the world of “The Secret Life of Pets”. First is NormanTV, which features the gerbil from the film crawling through the buildings vents. The last one is an animated musical tale of the hot dog brand that Max and Duke end up at. These are a great addition to the film itself and are also available if the film is redeem digitally as well, so that’s a nice bonus. Next up, we have “The Humans That Brought You Pets” which feature interviews with Producers Chris Meledandri and Janet Healy, Directors Yarrow Cheney and Chris Renaud, and Writer Brian Lynch. “Animals Can Talk: Meet the Actors” are speed chats with the cast talking about their roles. “All About the Pets” features cast joking on set with animal trainer Molly O’Neill. “Hairstylist to the Dogs” features Duke’s voice actor Eric Stonestreet talking grooming with Stylist Jess Rona. “How to Make an Animated film” and “Anatomy of a Scene” go behind-the-scenes. Lastly there is a nice collection of “The Best of Snowball” and some sing-alongs and trailers. “Not the Life It Seems: The True Lives of My Chemical Romance” is the story of how a band defied stereotypes and championed uncomfortable subjects. Through unorthodox vocals and stage performances My Chemical Romance helped address often controversial topics head on. Journalist Tom Bryant recounts how the bands personal experiences resulted in some of their biggest hits. 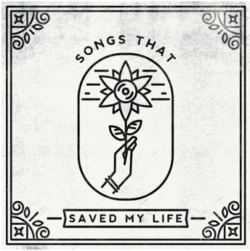 Bryant looks at the bands growing success over its four albums and the bands subsequent breakup in 2013. The book delves in to each member’s personal history leaving no stone unturned. 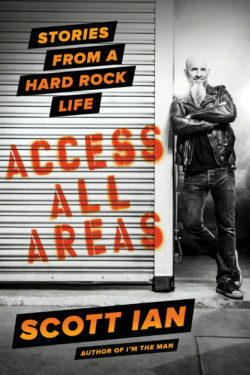 Over the books 384 pages Bryant chronicles the band’s various struggles with addiction, media exposure and issues between the group’s members. With a lot of these stories being told for the first time there was certainly a lot of info included that peaks the reader’s interest to further delve in to the following chapters. 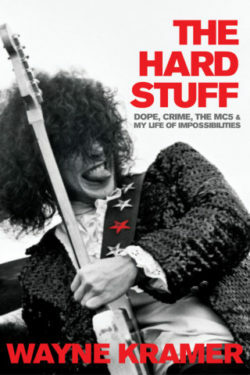 The biggest thing that kept weighing on my mind while reading this book was the fact that these stories were being told from an outside source and compiled from a number of unpublished interviews. Now I am certainly not discrediting the authors work however I think the book would have had a more personal feel if it was told via the band members directly and not via an onlooker. Very seldom do I find biographies of this nature to be as telling as they could be when the actual players are not directly involved. However fan’s of the band will want to check the book out as it does give a fresh look on the events surrounding the groups break up. The book also includes some interesting black and white photos of the band which are worth checking out on their own. To celebrate the release of “Life After Beth” starring Dane DeHaan, Media Mikes is excited to giveaway one (1) copy of the film on Blu-ray to our readers. If you would like to enter for your chance to win one of this prize, please leave us a comment below or send us an email with your favorite zombie movie. This giveaway will remain open until October 24th at Noon, Eastern Time. This is open to all of our Media Mikes readers worldwide. One entry per person, per household. All other entries will be considered invalid. Media Mikes will randomly select winners. Winners will be alerted via email. Zac Orfman is in mourning. His girlfriend, Beth Slocum, has died. Bitten by a snake while she went hiking alone, all Zac has now are his memories. And a scarf of hers, given to him by her parents (Reilly and Molly Shannon). His family, especially his older brother, Kyle (Matthew Gray Gubler), are insensitive to his feelings, mocking him for wearing the scarf around his neck. Upset he picks up a tray of Jello and heads over to the Slocum house, hoping to share his grief with those that will understand it. When Mr. Slocum is leery about letting him in he does a little investigating. And in the attic he discovers…Beth? Not sure if this term has ever been used before so I’m going to call “Life After Beth” a very original “Rom-Zom-Com,” which translates to Romantic Zombie Comedy. Though the Slocums won’t like the word “zombie.” They prefer resurrected. Either way, Beth is back. As played by Plaza, she is unaware of her circumstances, conscious only of the things she knew before she died. Like she has to study for a test. This is how her parents keep her out of sight. When Zac discovers the situation he is sworn to silence, promising to never let Beth know of her circumstances. However, that’s a lot easier to promise than to actually do. The cast is given some great situations thanks to a sharply written script by director Baena. This could have easily been a parody film or, if you felt for one minute that the cast wasn’t buying in, a disaster. But the actors maintain their characters and the various situations that they find themselves in only become funnier because of their commitment to the subject. DeHaan, who has always played brooding young men shows like “True Blood” and films like “Kill Your Darlings” is quite adept at physical comedy (as is Plaza) and does a fine job here. Reilly and Shannon do their best work together, arguing about what Beth can and cannot do and denying to themselves that something odd has happened. Plaza shines as Beth and her dedication to the role is what makes the film work so well. When Zac meets an old female friend Beth goes into a jealous rage, much worse than usual seeing as that she’s a zombie. As things (and Beth) begin to deteriorate the laughs continue. Yet, while you’re laughing you can’t help but feel sorry for all involved. That being said, take a chance and go see what is now my favorite ROM-ZOM-COM!